Stan Uryasev has been named George and Rolande Willis Professor in Industrial and Systems Engineering at the University of Florida. 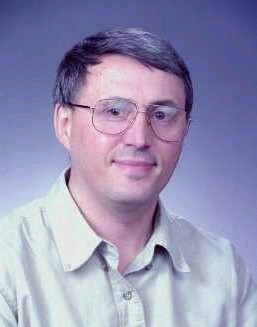 Uryasev came to UF in 1998 and has been a professor since 2004. Uryasev was awarded for this professorship for his outstanding research record and his commitment to develop engineering economics courses for the students. Uryasev’s research interests include optimization of large stochastic systems, risk management, financial engineering, and military applications. He is a well-known expert in stochastic optimization and portfolio optimization. In particular, he is the co-inventor of risk management optimization technology based on Conditional Value-at-Risk (known as CVaR). His research has broad impacts with over 9,000 citations based on Google scholar (https://scholar.google.com/citations?user=Uwg1zpkAAAAJ&hl=en). This endowment was provided by George and Rolande Willis in the form of an irrevocable charitable remainder trust. The proceeds of the trust will be used to support professorships in engineering economics. The spendable income from the endowment will provide salary and research support for faculty. The professorship in engineering economics will enhance our students’ understanding of engineering’s contribution to the economy and show them how to use engineering to benefit economic performance. “Obviously the University of Florida is one of the great universities in the nation, so without question it was the stature of this institution that led us to approach the University of Florida, with the result that you see, “ George Willis said when the endowment was set up.